(Washington, D.C.) When disability advocates started talking about the need for an international disability rights treaty, the frame of reference was the Americans with Disabilities Act. The legislation signed into law by President H.W. Bush, on July 26, 1990—the ADA—was the catalyst and the foundation on which the Convention on the Rights of Persons with Disabilities (CRPD) was built. 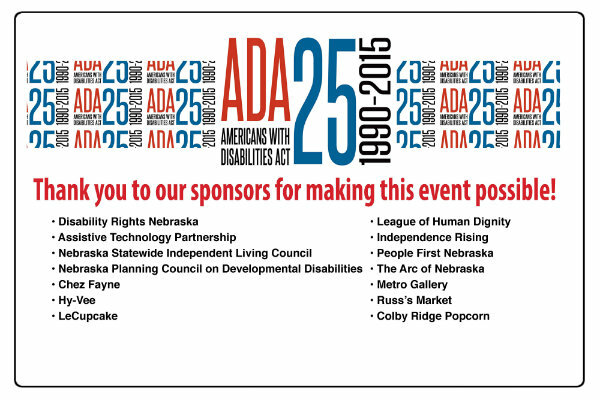 Now is an appropriate time to acknowledge that the ADA and CRPD are close siblings. 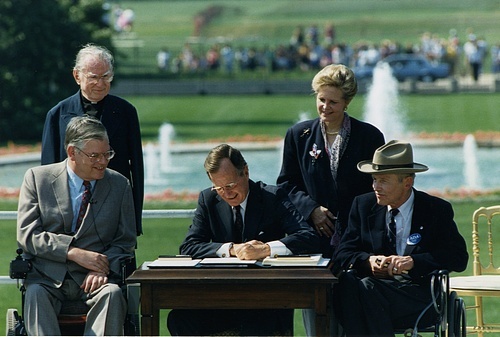 July 26, 1990 - President George H. W. Bush signing the Americans with Disabilities Act. Left to right: Evan Kemp, Rev Harold Wilke, Pres. Bush, Sandra Parrino, Justin Dart.